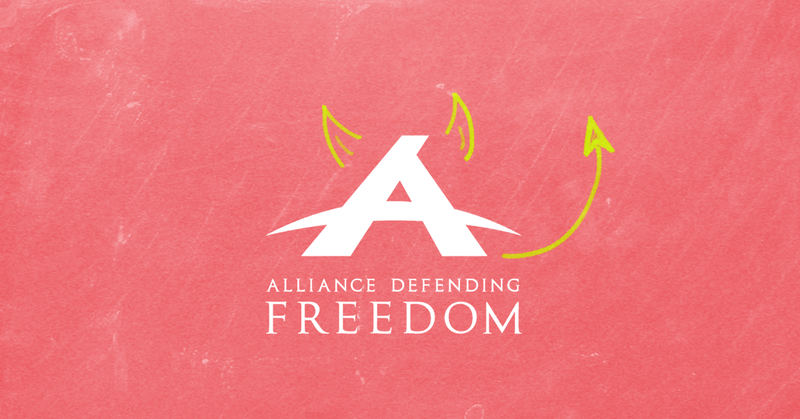 ADF is the largest anti-LGBTQ hate group in the country and has played a role in nearly every aspect of the modern right-wing battle against queer and trans rights. Media Matters has documented its years-long effort to combat transgender student equality in schools, advocating -- often through suing schools -- for discriminatory “bathroom bills” that prevent transgender students from using the restroom facilities that align with their gender identity. It has been involved in writing, promoting, and legally defending so-called “religious freedom” both as Justice Department guidance and as bills in a number of states, including one in Mississippi that has been called the “worst anti-LGBTQ state law in the U.S.” It has also supported harmful reparative therapy, which seeks to turn LGBTQ people “straight” and has been discredited by every mainstream medical group for decades as it has severe mental and medical health consequences for its victims. In 2013, ADF issued a memo in support of Russia’s “gay propaganda” law, which has led to the arrests of a number of LGBTQ activists and a climate where hate crimes against queer and trans people have doubled. Additionally, ADF works with more than a dozen other hate groups that are devoted to demonizing LGBTQ people and halting progress toward equal rights. Posner identified four Trump federal judicial nominees with ties to ADF: Amy Coney Barrett (who was recently confirmed) and Kyle Duncan at the appeals court level and Jeff Mateer and Michael Joseph Juneau at the district court level. Mateer is one of the most vehemently anti-LGBTQ figures to be nominated to the judiciary. Trump also nominated Steven Grasz to the Eighth Circuit Court of Appeals. Grasz is a member of the board of the Nebraska Family Alliance, which is partnered with ADF. Media Matters has identified another nominee who was confirmed in August to the U.S. Court of Appeals for Veterans Claims, Joseph Toth, who was an ADF Blackstone Fellow in 2005.